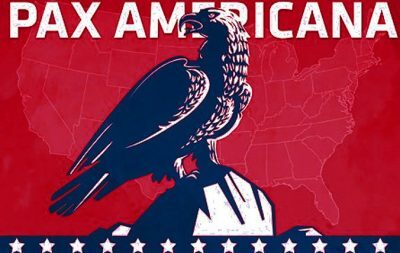 Pax Americana vs. Russia: Is There an “End to U.S. Imperialism”? The peaceful dissolution of the USSR according to the agreement between Mikhail Gorbachev and Ronald Reagan in 1988 in Reykjavik brought a new dimension of a global geopolitics in which up to 2008 Russia, as a legal successor state of the USSR, was playing an inferior role in global politics when an American Neocon concept of Pax Americana became the fundamental framework in international relations. Therefore, for instance, Boris Yeltsin’s Russia capitulated in 1995 to the American design regarding a final outcome of the USA/EU policy of the destruction of ex-Yugoslavia in November 1995 (the Dayton Agreement) followed by even worse political capitulation in the case of Washington’s Kosovo policy that became ultimately implemented in June 1999 (the Kumanovo Agreement). Russia became in the 1990s totally geopolitically humiliated by the USA and its West European clients to such extent that we can call a period of Boris Yeltsin’s servile policy toward the West as a Dark Time of the history of Russian international relations when the main losers became the Serbs who were and still are extremely demonized by the Western mass-media and academic institutions. An ideological-political background of Boris Yeltsin’s foreign policy of Russia was the Atlanticism – an orientation in the foreign policy that stresses as the fundamental need to cooperate (at any price) with the West especially in the area of the politics and economy. In the other words, the integration with the West and its economic-political standards became for Boris Yeltsin’s Russia, governed by the Russian Liberals, an order of the day. This trend in Russia’s foreign policy in the 1990s had the roots in the 19th century geopolitical and cultural orientation of the Russian society by the so-called Russian „Westerners“ who became the opponents to the Russian „Slavophiles“ for whom the ultimate aim of the Russian foreign policy was to create a Pan-Slavonic Commonwealth with the leadership of Russia. The actual outcome of the Russian Liberals „in the years following Yeltsin’s election were catastrophic as, for instance, Russia’s industrial production dropped by nearly 40%, over 80% of Russians experienced a reduction in their living standards, health care disintegrated, life expectancy fell along with the birth rate, and morale overall collapsed“. However, the political influence of the Russian Liberals became drastically weakened by Vladimir Putin’s taking power in Russia from 2000 onward and especially from 2004. A new global course of Russia’s foreign policy after 2004 became directed toward a creation of a multipolar world but not unipolar Pax Americana one as the American Neocons wanted. Therefore, the Caucasus, Ukraine, and Syria became currently directly exposed to the Russian-American geopolitical struggle while Kosovo is up to now still left to the exclusive US sphere of interest. Nevertheless, it can be expected in the nearest future that post-Yeltsin’s Russia will take decisive geopolitical steps with regard to Kosovo as from the year of 2000 the Russian exterior policy is constantly becoming more and more imbued with the neo-Slavophile geopolitical orientation advocated by Aleksandar Solzhenitsyn (1918−2008) as a part of a more global Euroasian geopolitical course of the post-Yeltsin’s Russian Federation supported by many Russian Slavophile intellectuals like a philosopher Aleksandar Dugin. “The American liberties, as well as American wealth are determined by American geography. Our [Russia’s] freedom and our wealth are determined by Russian geography. Thus, we’ll never have the same freedoms as the British and Americans have, because their security is guaranteed by the seas and oceans, but ours could only be guaranteed by military conscription“. Samuel P. Huntington was quite clear and correct in his opinion that the foundation of every civilization is based on religion. Huntington’s warnings about the future development of the global politics that can take a form of a direct clash of different cultures (in fact, separate and antagonistic civilizations) are, unfortunately, already on the agenda of international relations. Here we came to the crux of the matter in regard to the Western relations with Russia from both historical and contemporary perspectives: the Western civilization, as based on the Western type of Christianity (the Roman Catholicism and all Protestant denominations) has traditional animosity and hostility toward all nations and states of the East Christian (Orthodox) confession. As Russia was and is the biggest and most powerful Christian Orthodox country, the Eurasian geopolitical conflicts between the West and Russia started from the time when the Roman Catholic common state of the Kingdom of Poland and the Grand Duchy of Lithuania launched its confessional-civilizational imperialistic wars against the Grand Duchy of Moscow at the very end of the 14th century; i.e., when (in 1385) Poland and Lithuania became united as a personal union of two sovereign states. The present-day territories of Ukraine (which at that time did not exist under this name) and Byelorus (White Russia) became the first victims of Vatican policy to proselytize the Eastern Slavs. Therefore, the biggest part of present-day Ukraine became occupied and annexed by Lithuania till 1569 and after the Lublin Union in 1569 by Poland. 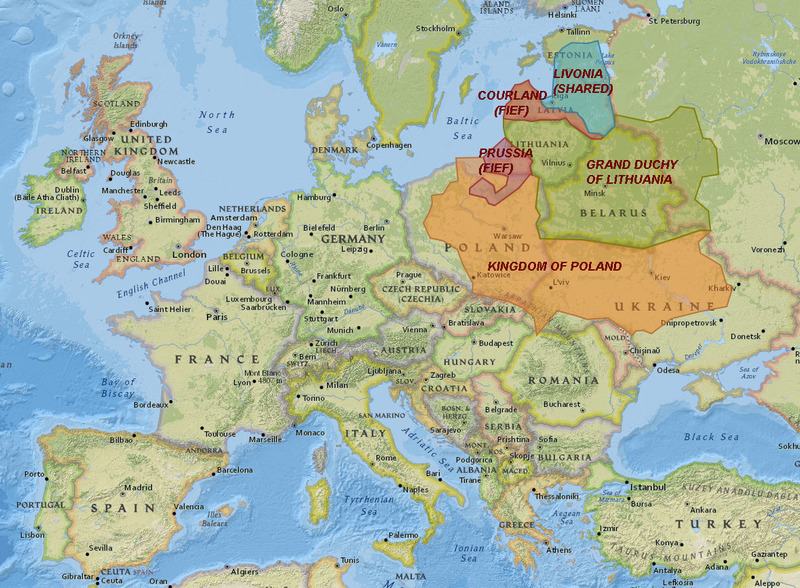 In the period from 1522 to 1569, there were 63% of the East Slavs on the territory of the Grand Duchy of Lithuania out of her total population. From the Russian perspective, an aggressive Vatican policy of reconversion of the Christian Orthodox population and their denationalization could be prevented only by military counter-attacks to liberate the occupied territories. However, when it happened from the mid-17th century till the end of the 18th century a huge number of the former Christian Orthodox population already became the Roman Catholics and the Uniates with lost original national identity. A conversion to the Roman Catholicism and making the Union with the Vatican on the territories occupied by the Polish-Lithuanian common state till the end of the 18th century divided the Russian national body into two parts: the Christian Orthodox, who remained to be the Russians and the pro-Western oriented converts who basically lost their initial ethnonational identity. This is especially true in Ukraine – a country with the biggest number of the Uniates in the world due to the Brest Union in 1596 with the Vatican. The Uniate Church in (the West) Ukraine openly collaborated with the Nazi regime during the WWII and for that reason, it was banned after the war till 1989. Nevertheless, it was exactly the Uniate Church in Ukraine to propagate an ideology that the „Ukrainians“ were not (Little) Russians but a separate nation who are not in any ethnolinguistic or confessional connection with the Russians. Therefore, it paved a way to successful Ukrainization of the Little Russians, Ruthenians, and Carpatho-Russians during the Soviet rule. After the dissolution of the USSR, the Ukrainians became an instrument of the realization of the Western anti-Russian geopolitical interests in East Europe. The unscrupulous Jesuits became the fundamental West European anti-Russian and anti-Christian Orthodox hawks to propagate an idea that Christian Orthodox Russia does not belong to real (Western) Europe. Due to such Vatican’s propaganda activity, the West gradually became antagonistic to Russia and her culture was seen as disqusting and inferior, i.e. barbaric as a continuation of the Byzantine Christian Orthodox civilization. Unfortunately, such negative attitude toward Russia and the East Christianity is accepted by a contemporary US-led West for whom Russophobia became an ideological foundation for its geopolitical projects and ambitions. Therefore, all real or potential Russia’s supporters became geopolitical enemies of the Pax Americana like the Serbs, Armenians, Greeks, Byelorussians, etc. A new moment in the West-Russia geopolitical struggle started when Protestant Sweden became directly involved in the Western confessional-imperialistic wars against Russia in 1700 (the Great Northern War of 1700−1721) which Sweden lost after the Battle of Poltava in 1709 when Russia finally became a member of the concert of the Great European Powers. A century later, that was Napoleonic France to take a role in the historical process of “Eurocivilizing“ of “schismatic“ Russia in 1812 that also finished by the West European fiasco, similar to Pan-Germanic warmongerns during both world wars. However, after 1945 up to the present, the “civilizational“ role of the Westernization of Russia is assumed by the NATO and the EU. 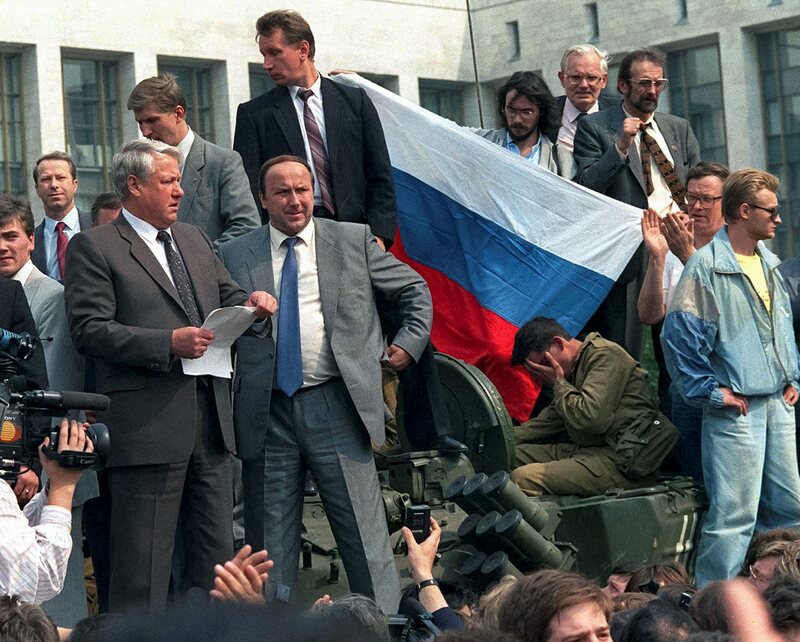 The West immediately after the collapse of the USSR, by imposing its client satellite Boris Yeltsin as a President of Russia, achieved an enormous geopolitical achievement around Russia especially on the territories of ex-Soviet Union and the Balkans. Nevertheless, the West started to experience a Russian geopolitical blowback from 2001 onward when the B. Yeltsin’s time pro-Western political clients became gradually removed from the decision-making positions in Russia’s governmental structures. What a new Russia’s political establishment correctly understood is that a Westernization policy of Russia is nothing else but just an ideological mask for economic-political transformation of the country into the colony of the Western imperialistic gangsters led by the US Neocon administration alongside with the task of the US/EU to externalize their own values and norms permanently. This „externalization policy“ is grounded on the thesis of The End of History by Francis Fukuyama „that the philosophy of economic and political liberalism has triumphed throughout the world, ending the contest between market democracies and centrally planned governance“. Therefore, after the formal ending of the Cold War in 1989, the fundamental Western global geopolitical project is The West and The Rest, according to which the rest of the world is obliged to accept all fundamental Western values and norms according to the Hegemonic Stability Theory of a unipolar system of the world security. Nevertheless, behind such doctrinal unilateralism as a project of the US hegemony in global governance in the new century clearly stands the unipolar hegemonic concept of a Pax Americana, but with Russia and China as the crucial opponents to it. According to the Hegemonic Stability Theory, a global peace can occur only when one hegemonic center of power (state) will acquire enough power to deter all other expansionist and imperialistic ambitions and intentions. The theory is based on a presumption that the concentration of (hyper) power will reduce the chances of a classical world war (but not and local confrontations) as it allows a single hyperpower to maintain peace and manage the system of international relations between the states. Examples of ex-Pax Romana and Pax-Britannica clearly offered support by the American hegemons for an imperialistic idea that (the US-led) unipolarity will bring global peace and, henceforth, inspired the viewpoint that the world in a post-Cold War era under a Pax Americana will be stable and prosperous as long as the US global dominance prevails. Therefore, a hegemony, according to this viewpoint, is a necessary precondition for economic order and free trade in global dimension suggesting that the existence of a predominant hyperpower state willing and able to use its economic and military power to promote global stability is both divine and rational orders of the day. As a tool to achieve this goal the hegemon has to use a coercive diplomacy based on the ultimatum demand that puts a time limit on the target to comply and a threat of punishment for resistance as, for example, it was a case in January 1999 during the „negotiations“ on Kosovo status between the US diplomacy and Yugoslavia’s Government in Rambouillet (France). However, in contrast to both the Hegemonic Stability Theory and the Bipolar Stability Theory, a post-Yeltsin’s Russian political establishment advocates that a multipolar system of international relations is the least war-prone in comparison with all other proposed systems. This Multipolar Stability Theory is based on a concept that a polarized global politics does not concentrate power, as it is supported by the unipolar system, and does not divide the globe into two antagonistic superpower blocs, as in a bipolar system, which promote a constant struggle for global dominance (for example, during the Cold War). The multipolarity theory perceives polarized international relations as a stable system because it encompasses a larger number of autonomous and sovereign actors in global politics that is as well as giving rise to more number of political alliances. This theory is, in essence, presenting a peace-through model of pacifying international relations as it is fundamentally based on counter-balancing relations between the states on the global arena. Under such a system, an aggression policy is quite harder to happen in reality as it is prevented by the multiple power centers. A new policy of international relations adopted by Moscow after 2000 is based on a principle of a globe without hegemonic leadership – a policy which started to be implemented at the time when the global power of the US as a post Cold War hegemon declines because it makes costly global commitments in excess of ability to fulfill them followed by the immense US trade deficit. The US share of global gross production is in the process of constant declination since the end of the WWII. Another serious symptom of the US erosion in international politics is that the US share of global financial reserves drastically declined especially in comparison to the Russian and Chinese share. The US is today the largest world debtor and even the biggest debtor ever existed in history (19.5 $ trillion or 108 percent of the GDP) mainly, but not exclusively, due to huge military spendings, alongside tax cuts that reduced the US federal revenue. The deficit in current account balance with the rest of the world (in 2004, for instance, it was $650 billion) the US administration is covering by borrowing from private investors (mostly from abroad) and foreign central banks (most important are of China and Japan). Therefore, such US financial dependence on the foreigners to provide the funds needed to pay the interest on the American public debt leaves the USA extremely vulnerable, but especially if China and/or Japan would decide to stop buying the US bonds or sell them. Subsequently, the world strongest military power is at the same time and the greatest global debtor with China and Japan being direct financial collaborators (or better to say – the quislings) of the US hegemonic leadership’s policy of a Pax Americana after 1989. It is without any doubts that the US foreign policy after 1989 is still unrealistically following the French concept of raison d’état that indicates the Realist justification for policies pursued by state authority, but in the American eyes, first and foremost of these justifications or criteria is the US global hegemony as the best guarantee for the national security, followed by all other interests and associated goals. Therefore, the US foreign policy is based on a realpolitik concept that is a German term referring to the state foreign policy ordered or motivated by power politics: the strong do what they will and the weak do what they must. However, the US is becoming weaker and weaker and Russia and China are more and more becoming stronger and stronger. Finally, it seems to be true that such a reality in contemporary global politics and international relations is properly understood and recognized by a newly elected US President Donald Trump. If he is going not to be just another Trojan horse of the US Neocon concept of Pax Americana, there are real chances to get rid of the US imperialism in the nearest future and to establish international relations on a more democratic foundation. As a very example of such moral, cultural and civilizational demonization of the Serbs by the Western academic writings is [John Hagan, Justice in the Balkans: Prosecuting War Crimes in The Hague Tribunal, Chicago−London: The University of Chicago Press, 2003]. John Baylis, Steve Smith (eds. ), The Globalization of World Politics: An Introduction to International Relations, Second edition, New York: Oxford University Press, 2001, 124. Irina Isakova, Russian Governance in the Twenty-First Century: Geo-strategy, Geopolitics and Governance, London−New York: Frank Cass, 2005, 12. Samuel P. Huntington, The Clash of Civilization and the Remaking of World Order, London: The Free Press, 2002. On the Lithuanian occupation period of the present-day Ukraine, see: [Alfredas Bumblauskas, Genutė Kirkienė, Feliksas Šabuldo (sudarytojai), Ukraina: Lietuvos epocha, 1320−1569, Vilnius: Mokslo ir enciklopedijų leidybos centras, 2010]. Ignas Kapleris, Antanas Meištas, Istorijos egzamino gidas. Nauja programa nuo A iki Ž, Vilnius: Leidykla “Briedas”, 2013, 123. About this issue, see more in [Зоран Милошевић, Од Малоруса до Украјинаца, Источно Сарајево: Завод за уџбенике и наставна средства, 2008]. Срђан Перишић, Нова геополитика Русије, Београд: Медија центар „Одбрана“, 2015, 42−46. David Kirbz, Šiaurės Europa ankstyvaisiais naujaisiais amžiais: Baltijos šalys 1492−1772 metais, Vilnius: Atviros Lietuvos knyga, 2000, 333−363; Peter Englund,The Battle that Shook Europe: Poltava and the Birth of the Russian Empire, London: I.B.Tauris & Co Ltd, 2003. On Napoleon’s military campaign on Russia in 1812 and its fiasco, see [Paul Britten Austin, The Great Retreat Told by the Survivors, London−Mechanicsburg, PA: Greenhill Books, 1996; Adam Zamoyski, 1812: Napoleon’s Fatal March on Moscow, New York: Harper Press, 2005]. The US-led NATO bombing of the Federal Republic of Yugoslavia in 1999 is only one example of a gangster’s policy of a violation of the international law and the law on war when the civilian objects became legitimate military targets. Therefore, the attack on Serbia’s television station in the downtown of Belgrade on April 23rd, 1999 attracted criticism by many human rights activists as it was apparently selected for bombing as „media responsible for broadcasting propaganda“ [The Independent, April 1st, 2003]. By the same gangsters the same bombing policy was repeated in 2003 in Iraq when the main television station in Baghdad was hit by cruise missiles in March 2003 followed next day by the destruction of the state radio and television station in Basra [A. P. V. Rogers, Law on the Battlefield, Second edition, Manchester: Manchester University Press, 2004, 82−83]. According to the international law expert Richard Falk, the 2003 Iraq War was a „crime against Peace of the sort punished at the Nuremberg trials“ [Richard Falk, Frontline, India, No. 8, April 12−25th, 2003]. Francis Fukuyama, The End of History and the Last Man, Harmondsworth: Penguin, 1992. Charles W. Kegley, Jr., Eugene R. Wittkopf, World Politics: Trend and Transformation, Tenth edition, USA: Thomson−Wadsworth, 2006, 588; Andrew F. Cooper, Jorge Heine, Ramesh Thakur (eds. ), The Oxford Handbook of Modern Diplomacy, New York: Oxford University Press, 2015, 54−55. David P. Forsythe, Patrice C. McMahon, Andrew Wedeman (eds. ), American Foreign Policy in a Globalized World, New York−London: Routledge, Taylor & Francis Group, 2006, 31−50. William C. Wohlforth, „The Stability of a Unipolar World“, International Security, No. 24, 1999, 5−41. Charles W. Kegley, Jr., Eugene R. Wittkopf, World Politics: Trend and Transformation, Tenth edition, USA: Thomson−Wadsworth, 2006, 524. Featured image is from Panjury while the rest is from the author.